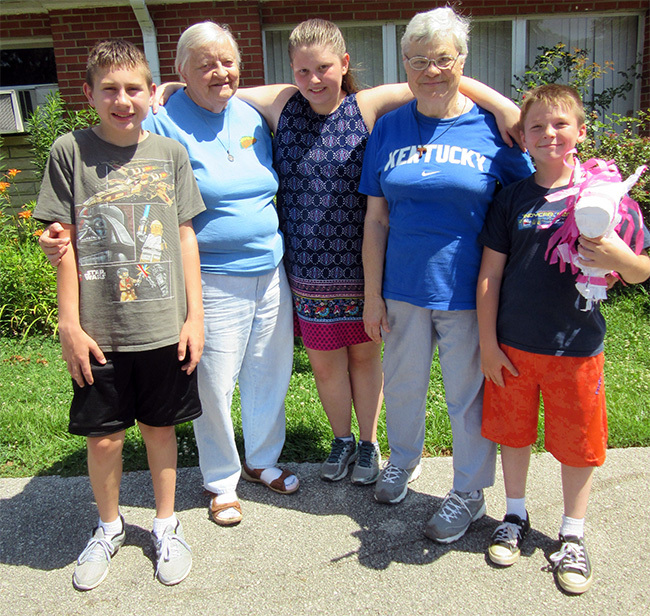 Sisters Marge Eilerman and Angie Keil minister among the marginalized in Owsley County in eastern Kentucky in the diocese of Lexington. These sisters live in a trailer next to the log cabin church which is the Catholic Home of Holy Family Parish to 16 families. In addition to the parish ministry,the Sisters are involved in reaching out to those in need of basic necessities such as electricity, food, recovery from drugs. They also hire one person to work their 1/2 acre garden whose food is given away to those in need. Several volunteer groups come throughout the year to do home improvement to give the people greater dignity in their homes.